Dynamic Investment Theory works, Modern Portfolio Theory does not. On this page readers are shown how they can take personal control of their portfolios using Dynamic Investments. On the page at this link I show multiple reasons why investing does not work for the average investor today. On this page I show how it should, and will, work using Dynamic Investments Theory (DIT) methods and how they fix the massive problems inherent in the Modern Portfolio Theory (MPT) approach used almost exclusively today. NAOI Dynamic Investments represent a fundamentally different way of investing than we have been taught for decades. Following the stock market crash of 2008 the NAOI embarked on a search for a better approach to investing. We started with a set of goals that are listed as headings below on this page. For each I show the problem we were trying to solve in today's MPT-based environment and how we solved it in the new, DIT-based world of investing. The Problem with MPT. In today's MPT-based world of investing, average annual returns of around 8% are celebrated as great victories. And they are victories when one considers the fact that MPT asset-allocation methods mandate that portfolios at all times hold both winning AND losing investments in order to reduce risk. In addition, MPT portfolios are static, buy-and-hold investments that provide little to no protection from market crashes making them extremely risky in today's volatile markets. The DIT Fix. Dynamic Investments are not designed to match the risk tolerance of each investor. They are designed to find and capture positive returns where ever and whenever they exist in the market. They strive to hold ONLY winners while avoiding losers. As a result DIs regularly produce 20%+ annual returns over the long term. And they produce these returns without excessive risk by embracing a unique dynamic trading strategy that sells equities that are trending down before too much damage is done. The Problem with MPT. The MPT portfolio design process is filled with human, subjective decisions. The process includes trying to determine an investor's risk tolerance, analyzing the market to select specific equities to buy and then deciding when / how to adjust a portfolio's holdings on an ongoing basis. There is nothing scientific in any of these decisions - they are all little more than informed "guesswork". This leaves the MPT portfolio holder wide open to all types of human-based risk elements including bad information, incorrect analysis, sales bias and even fraud. The DIT Fix. Dynamic Investments are created by NAOI-trained DI Designers to periodically sample market trends and automatically signal the purchase of only ETFs that track assets or markets that are trending up in price and avoiding or selling those that are trending down. Newly created DIs are not released to the public until they have been proven to provide superior performance through extensive testing using years of historical data. And once implemented, DIs use scientific methods to signal trades based on empirical observations of objective data. No human decisions are required in the entire ongoing DI management process. In the DIT-based world of investing the risk of human error, or ill-intentions, is virtually eliminated. The Problem with MPT. Modern Portfolio Theory sets forth a methodology for designing portfolios to meet an investor's risk tolerance level using asset allocation techniques. That's it! MPT provides no guidance on how a portfolio is to be managed on an ongoing basis to either take advantage of market uptrends or to avoid market downtrends. Portfolio adjustment decisions are left to the discretion of a human advisor / salesperson. Thus, MPT portfolios are NOT comprehensive investment solutions. The DIT Fix. DIs are comprehensive investments. They specify which ETFs to work with in their Dynamic ETF Pools (DEPs) AND they specify which of these ETFs to buy or sell depending on objective observations of market trends. Unlike MPT portfolios, DIs and DI portfolios completely specify how this investment type is to be managed on an ongoing basis. An investor can simply buy and hold DIs, confident in the knowledge that each is automatically monitoring the market and signaling trades as needed to either capture returns or stop losses. The Problem with MPT. MPT portfolios are not standardized, "consumer products" that can be bought off-the-shelf or from a catalog of investment products. Each is a customized creation designed by a financial advisor to meet an investor's unique risk profile. As a result, the design process strings together a series of subjective judgments that are wide open to error as discussed in Point 2, above. Also, as customized creations it is virtually impossible to compare your portfolio with any other, giving you no benchmark for determining if your portfolio is performing well or not or if you advisor is good, bad or just average. The DIT Fix. Dynamic Investments ARE standardized, consumer products. They are not customized for your risk tolerance. Each has the common goal of seeking and capturing the positive returns that are available in various parts of the market (defined by the ETFs used) at all times. Because this is a universal goal that all investors want, DIs can be seen as consumer products that can be selected from a catalog of DIs provided by your advisor or any financial entity that either employs, or has access to, NAOI trained DI designers. The NAOI also has a catalog from which investors can select DIs to buy and hold. In addition, because DIs are standardized you CAN compare the performance of one with another; or with a standard benchmark. For example, the simple NAOI Primary Dynamic Investment earned an average annual return of 30%+ during the decade from 2007 to 2016 with a Sharpe Ratio well in excess of 1.0. The table below shows how the NAOI Primary / Basic DI appears in the NAOI DI Product Catalog. As an investor, if any investment that you owned had lower performance than this you would consider switching. The Problem with MPT. Today's MPT portfolios are too often loaded with non-productive fees. Mutual funds, for example, can charge up to 2.0% of the total dollar amount you buy for expenses. And what are these expenses? Some are for "management fees" which have no correlation to the returns potential of the fund. Others are for commissions to the advisors who sell them - which of course adds no value to the fund and too often biases an advisor to sell high-commission funds over others. And these expenses come right off the top of your return - for example if the fund earns 8%, after expenses you get 6%. This is unacceptable. The DIT Fix. Dynamic Investments only use Exchange Traded Funds (ETFs) as their investing vehicle. ETFs have all of the diversity advantages of a mutual fund with the added benefit of being easy to trade - an advantage that DIs exploit to the fullest. And ETFs have expenses that often are multiple times lower than a mutual fund that tracks the same index or has the same purpose in a portfolio. Most ETFs used in NAOI Dynamic Investments have expenses of lower than 0.5%. Thus, not only do DIs provide returns that are multiple times higher than MPT portfolios, you pay multiple times less money to own them! The Problem with MPT. In today's complex MPT investing world, individuals must consider and worry about all types of information that can affect the value of their portfolio such as economic indicators, world events, political actions and more. It is the analysis of these ambiguous factors that informs an advisor's trade recommendations for your portfolio. But history shows that about half of the time this analysis is wrong! So, when holding an MPT portfolio you must constantly worry about the flood of information spewing forth from the financial world on a daily basis. And the fear is always there that a major negative market catalyst could cause your portfolio, and your financial security, to collapse virtually overnight. The DIT Fix. In the immensely less complex world of DIT investing, you simply buy one or more Dynamic Investments and then sit back and relax, confident in the knowledge that each DI that you own has the internal intelligence needed to signal trades in order to both capture positive returns and to avoid losses. And you know that trades are signaled by the DI based on objective observations of market trends - not human analysis of economic / world events. Thus, as a DI holder you can completely ignore the flood of market news analysis that can overwhelm you if you let it. Your DI is making decisions that take such events into account far more capably and accurately than any financial "expert". And as a DI owner, you know that if catastrophe happens your DI will signal a trade that either gets you out of the market totally before too much damage is done, or gets you into an area of the market that actually profits from whatever disaster occurs. Learn how to use Dynamic Investments today by reading The Amazing Future of Investing book shown at right. Click the image to enlarge the Cover Picture. Then go to the NAOI Store where it can be purchased. In this easy-to-read book you will be shown, step-by-step, how to use power, but simple Dynamic Investments that will enable you to start earning investing returns that today's "experts" will say are impossible! There is absolutely no better investment you can make than purchasing this book. Its price is insignificant when compared to the higher portfolio returns it can enable you to receive. Dynamic Investment Theory and Dynamic Investments give you, the average investor, a powerful investment type that enables you to take full advantage of the market's positive returns potential. But this new approach gives you something else. It gives you "the power of choice". if you can't find an advisor who offers di's, implement them on your own! Before the introduction of DIT all of the power in the investing world rested in the hands of the financial services industry. As mentioned above today's investing environment has been made so complex by sellers of investing products and services that you have little choice but to give them almost complete control over your portfolio. In other words, today the sellers have all of the power in the world of investing and we, the consumers, have virtually none. As a result we are too often taken advantage of without our even knowing it. This is an unacceptable state of affairs. NAOI Dynamic Investment Theory methods and the NAOI Dynamic Investment type shift power away from the financial services industry and into the hands of the people. As explained above, and elsewhere on this site, Dynamic Investments are standardized consumer products that can be bought "off-the-shelf" and sold by anyone who is, or employees, an NAOI Certified DI Designer. DIs are also "plug and play" investments that are managed by a DI's internal intelligence without the need for human intervention. While you still may want to work with an advisor to implement Dynamic Investments the key point is that you don't NEED to work with an advisor. You can easily buy, implement and manage a Dynamic Investment on your own, if you wish, using an online broker and earn returns that the advisor-based MPT portfolio you hold today cannot touch! If you can't find an advisor that offers DIs in your search area, then you can implement and manage them yourself - they are that simple! With the power inherent in these choices, the cleansing forces of competition finally enter a financial marketplace that is currently devoid of virtually any catalysts that force them to improve their offerings. Advisors and/or financial firms that don't embrace and offer the Dynamic Investment Theory approach and a catalog of Dynamic Investments will lose clients to those that do, As a result, those that insist on remaining stuck in 1952, using MPT portfolios will eventually fade away. To greatly improve your investing income through the use of Dynamic Investments here are the steps you will want to consider taking NOW! 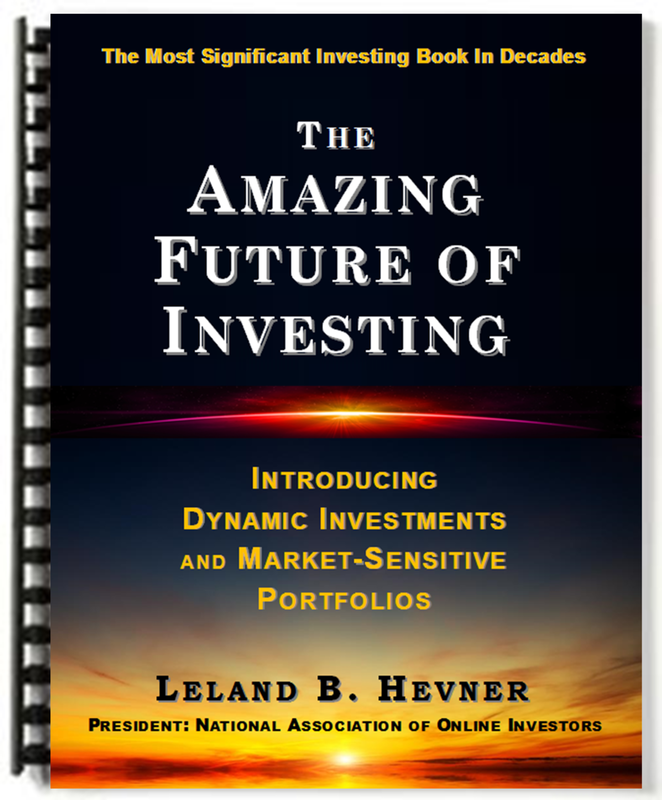 Buy and read The Amazing Future of Investing book sold here. 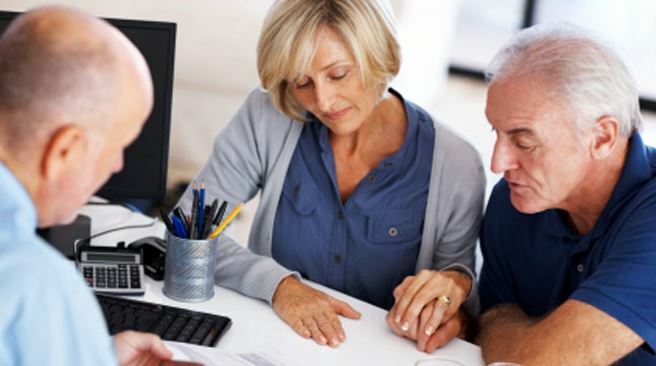 Talk to your financial advisor, if you have one, about Dynamic Investments. Teach him or her about DIs and suggest that they also buy and read The Amazing Future of Investing. If you advisor isn't willing to work with you to implement DIs, find another advisor who will. If you can't find an advisor who will offer DIs, implement them yourself using an online broker. The Amazing Future of Investing shows you how. And always keep in mind that DIT is not an all or nothing proposition. Most NAOI students who are using DI's devote only a portion of their investment money to this investment type and leave the rest ofit in the hands of an advisor using MPT methods. But as time passes and the DI portion of their portfolio continues to significantly outperform the MPT portion, the DI allocation percentage grows. With Dynamic Investment Theory, the NAOI has given you, the investing public, the power to earn far higher investing returns with significantly less risk and lower expenses than any advisor using only MPT portfolio design methods can provide today. But power is useless unless you actually take advantage of it. The industry will only change if you demand Dynamic Investments from your advisor! It is time to start pushing back against the mediocre investing advice we are given today. It is time to hold the financial services industry to a higher standard and demand better. You now have the power to do just that. using dynamic investments you have the "power" to succeed!